INTI Mass Communication students, seen here on an industrial visit, develop effective communication skills through theoretical and hands-on learning. Through the 3-year BA (Hons) in Mass Communication, which began its first intake in January 2014, students will develop a thorough understanding of media cultures and new media publishing, and learn to communicate effectively with the masses via film, journalism and other mediums. They will develop competencies through international exposure, innovative learning and individual development. Highlights of the programme include employer project as a credit earning subject, lectures and workshops by industry experts, and the option of spending a semester at the University of Hertfordshire (UH). Shaped by an ideal balance of theoretical knowledge and practical training that includes soft skills and resume writing workshop sessions, students will be trained to develop leadership qualities, confidence and resourcefulness, as well as learn how to analyse, strategize and make quick decisions. All these will give the students a distinct advantage as they advance to higher studies or challenging careers. 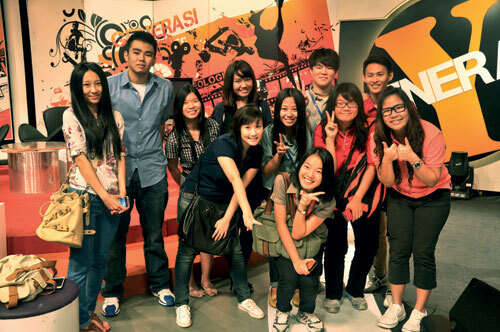 As the entire BA (Hons) in Mass Communication degree can be completed at INTI, students have the opportunity to earn a prestigious internationally recognized degree without having to incur the high cost of tuition and living expenses usually associated with pursuing tertiary level qualifications abroad. They gain local access to the same content taught in the UK and will receive a degree from UH upon successful completion of the course. UH is an award-winning entrepreneurial university and one of the world’s top 100 universities aged under 50 in Times Higher Education’s World University Rankings portfolio. The rankings are based on excellence across teaching, research, citations, industry income and international outlook. UH scored highly for the citing of its academic research on a global scale and for its international outlook and mix. INTI has long standing ties with UH and is the first international Associate College of the University in Malaysia. BA (Hons) in Mass Communication programme graduates are ready to serve as journalists, marketing communications specialists, marketing executives, film critics, entertainment journalists, social media executives or managers, and in other media-related positions. For further information on the BA (Hons) in Mass Communication programme, which will also be offered at INTI’s campus in Penang in April 2014, call 03-5623 2800 / 04-631 0138.